Tetsuya Nomura is in the Japanese press yet again, sharing a few new bits of info on Square Enix's big Tokyo Game Show unveiling, the three new Kingdom Hearts games. This time, Nomura spoke to the monthly Gemaga. Nomura began by noting that the fact that all three titles were announced at the same time doesn't mean players should consider the new Kingdom Hearts games to be similar to the Fabula Nova Crystallis or Compilation of Final Fantasy VII series. Different from those, the three games started development at different times and will be released at different times. In previous interviews, Nomura revealed that the PSP game, Birth by Sleep, started development first but would likely be released last. Here, he let slip that the DS game, 358/2 Days would likely see release first, followed by the cell phone game, Coded. Unfamiliar with the Kingdom Hearts series? Feeling a bit overwhelmed at the prospect of having to play the two PS2 titles and the Game Boy Advance game before sampling these new portable titles? Don't be! Nomura feels that little experience with the series won't be a problem for those trying to get into the new games, as their main characters are all different. He does, however, believe that the feeling of control from past titles is retained for the new games, so players who have played the past games will have the easiest time at it. Moving on to individual titles, the magazine first tackled Birth by Sleep. As mentioned in previous interviews, the game is being developed in Osaka by the same team that developed Musashi Samurai Legend and Re: Chain of Memories. 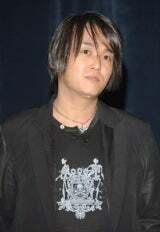 The project was born when, during the development of Kingdom Hearts II, the Osaka team requested to be involved if Nomura decided to make a "gaiden" (side-story) in the Kingdom Hearts series. "The project was for the PSP from the start of planning," Nomura noted. There's been a bit of confusion as to how the game's multi scenario system will work. Here, Nomura clarified just a bit. "The game will have three scenarios, and you'll be able to play from which ever one you like. You'll even likely be able to stop mid way through and start a new scenario." Also mentioned in previous interviews is that Birth by Sleep will consist entirely of Disney worlds. The game takes place in the past, years prior to the original Kingdom Hearts, and the worlds will be updated to reflect this. Nomura envisions having a young Hercules appear in the Hercules world, for instance. New Disney worlds will also appear, as will favorite characters like Disney and Goofy. Gemaga also managed to sneak in a few bits on the game's battle system. It will, as previously hinted by Nomura, be an evolved version of the deck system that was used in Chain of Memories, where, prior to battle, you set up a card deck consisting of commands that are fed into your command menu. Also getting some hype from Nomura in past interviews was the game's character growth system; Gemaga wasn't able to get specifics, but they did say that Square Enix could make a full game based off this system alone! Moving on to 358/2 Days (that's pronounced "Three Five Eight Days Over Two," according to the pronunciation listed in Gemaga), Nomura answered one big question we've all been wondering: where will Disney characters fit into the storyline, which is centered around Roxus and Organization XIII. "They will appear in the game," said Nomura of the Disney family, "but in a slightly different form. KH is generally a story where you set out on a journey with a goal in mind. However, Roxus is a member of Organization XIII, so he always returns to the home base. So, this is not a story about a journey. Also, Roxus's personality is such that he does not actively attempt to come into contact with other characters. So, the relationship to Disney characters will be different from before." Nomura and crew are, surprisingly, making minimal use of the stylus for this game. "Wonderful World is a game where we fully used the DS's functionality," explained Nomura. "However, this time, we're not really using the DS functionality. In order to not break the Kingdom Hearts control feel, we're not using the stylus. Also, we're planning on using the bottom screen for something." So what is that "something"? We're not sure about single player, but during multiplayer mode, the bottom screen will be used for a unique chat system, Nomura revealed. Players will be able to draw on this screen in order to communicate messages to one-another. Different from Pictochat, everyone draws on the same screen. Nomura and crew are also considering adding a few action buttons to the chat screen; these will be for actions that don't specifically affect gameplay. It should be noted that Nomura's mention of chat features isn't confirmation of Wi-Fi play being included in the game. For all we know, the game may just be local-area play for four players, with chat thrown in for fun (we imagine being able to draw on the same screen as being quite fun regardless of distance). Local area or 'net based, multiplayer looks like it's going to bring plenty of replay value to the 358/2 Days. Players will be able to select from the thirteen members of the Organization XIII, although each player will have to chose a unique character. The game will offer up a variety of missions, some asking that you defeat enemies, some asking that you fight one-another, and others requiring that you recover items. Single and multiplayer modes are connected in that your character's growth is shared between the two. Finally, on Coded, Nomura made one comment of particular interest. As a reaction to the tough mobile games market, where plenty of free games are on offer, Coded is going to be released under a new business model, something that the industry hasn't seen before. "It will be very easy to enter," he hinted. We're going to speculate that this means the game will be made available for cheap, or even free. Unlike the DS and PSP games, Coded shares its main character in common with KH1 and KH2. It's also the only game that takes place after Kingdom Hearts II. But this game isn't Kingdom Hearts III. The Sora in Coded is actually a "data version" of the Kingdom Hearts hero. The game takes place on the pages of Jiminy Cricket's notebook. The story involves data versions of Sora and King Mickey searching for a secret message left behind by Jiminy by investigating the events of the original Kingdom Hearts. Gameplay is a bit of a mystery at this point. The game does have the same basic interface as past Kingdom Hearts titles, with a command window featuring "fight," "magic" and "item." Screenshots show Sora with Goofy and Donald, although it's unknown if they'll fight together. Taking a primarily role in the game is the "Debugging Mode." As Sora journeys through the digital world of Jiminy's notebook, he encounters bugs (the computer type of bugs) that appear in the form of blocks scattered about the play fields. These have to be cleared if you want to approach your enemies. You can also use the blocks to solve puzzles and climb up to higher ground. Like Final Fantasy Agito XIII, Coded is being designed around cell phone models that don't exist yet. However, the developers are holding back a bit with Coded, particularly to account for overseas markets where mobile power is lacking. Screenshots released of the game suggest a wide-screen title. The game is actually being designed with the idea that it will be the norm for cell phone owners to be able to swivel their monitors around for wide-screen play (this is something that's available in only a few sets in Japan at the moment). While these three new Kingdom Hearts games were announced at the same time, similar to Coded, none of them qualify as Kingdom Hearts III. They do have some connections to the future third entry in the series, though. "I can't say specifically," explained Nomura, "but there was a message along those lines in the trailers. Something about these three titles being connected to a story that is to come. I believe you'll be able to foresee things through these three games." Major thanks to IGN and KHInsider Forum Member Cin for the heads up! How exciting is this? Feel free to comment (or post in the forums!) on what you think, we'll keep you updated!